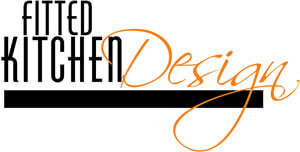 At Fitted Kitchen Design, quality always comes first in every area of our business. We also attach great value to customer satisfaction and it’s for this reason that we only use quality products and offer services that meet the needs of the customer. All management practices and work done by all our employees will solely be dedicated to on time delivery of products and services, adhere to the first-right-time policy, and meet the expectations and requirements of all our customers from all divides. After scheduling an appointment, a personal skilled designer assigned to you will visit your home and take all the necessary details needed for kitchen planning. This includes the all necessary measurements as regards your kitchen area and an assessment of our needs as well as lifestyle. Note that the appointment will be without any obligations. What you choose is what you will receive. We have an assortment of cabinets, doors, worktops, appliances, accessories and other kitchen units that you can choose from. Until we receive your order, we shall not order or manufacture anything that’s not part of your requirements. Our team of experts will carry out a complete installation of the kitchen and leave the place clean after all work is completed. On top of that, we also provide additional services that involve plumbing, electrification, and gas connection in order to leave your kitchen fully functional and ready to use. An expert member of our experienced team will carry out a post-installation inspection to see to it that everything has been done to completion and to your satisfaction. Should there be any questions or concerns regarding your newly installed Kitchen, our friendly customer service team will be ready to attend to them. At Fitted Kitchen Designs in Nottingham, we fully abide by the policy of continuous improvement not just in quality but in service as well. Further, all employees at Fitted Kitchen Designs shall apply all the requirements of an efficient quality programme. Overall, Fitted Kitchen Design has you covered in every aspect and you can trust us not to disappoint you. We look forward to listening to your questions and concerns. You can as well call us on to Book your appointment or better still, you can complete the enquiry form here.